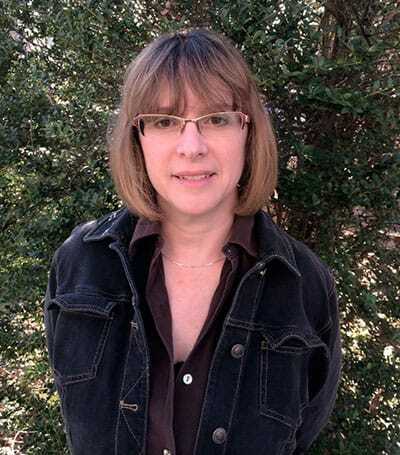 Joanne Cavanaugh Simpson is a nonfiction essayist, lecturer, and editor of QR: The Three Quarter Review. She is the author of Literature on Deadline (Caldwell Publishing), and is a former staff writer for The Miami Herald and Johns Hopkins Magazine, among other publications. Her essays have appeared in The Washington Post, The Rumpus, The Sun literary magazine, Creative Nonfiction, The Connecticut Review, Utne Reader, Style, WYPR's The Signal, as well as in the book collections Letters to J.D. Salinger (University of Wisconsin Press) and Signs of Life in the USA (Bedford/St. Martin’s). Essays are also forthcoming in the literary journal Chautauqua and elsewhere. As a foreign correspondent, she has written for such venues as The Baltimore Sun and American Journalism Review, reporting from Argentina, India, Nepal, China and Cuba. Cavanaugh Simpson earned her BS from the University of Maryland College Park; MA from Hopkins' Writing Seminars, where her thesis was supported by a Goldsmith Research Award from Harvard University's Joan Shorenstein Center; and her MFA in Creative Nonfiction from Goucher College, where she earned the Christine White Award in literary nonfiction in 2018. She is also a recipient of the Andrew W. Mellon Foundation Arts Innovation Grant to foster the next generation of scientist essayists and the Jon Davidoff Scholarship, awarded by the 2018 Wesleyan Writers Conference. Cavanaugh Simpson, who has also earned a Johns Hopkins Excellence in Teaching award, is currently at work on a book exploring the evolution of digital culture and counterculture. Memberships include the Authors Guild and PEN America. Links to a sampling of recent work: IN THE DRIVER'S SEAT: Self-driving cars have the potential to make roads safer. But what do we do while they learn from their mistakes? and Are We Flying Solo? both in Johns Hopkins Magazine, and Digital Disabilities in The Washington Post.